I am in love with our latest fall kids craft. Banners are BIG in the crafting world lately, but why do adults get to have all of the fun? 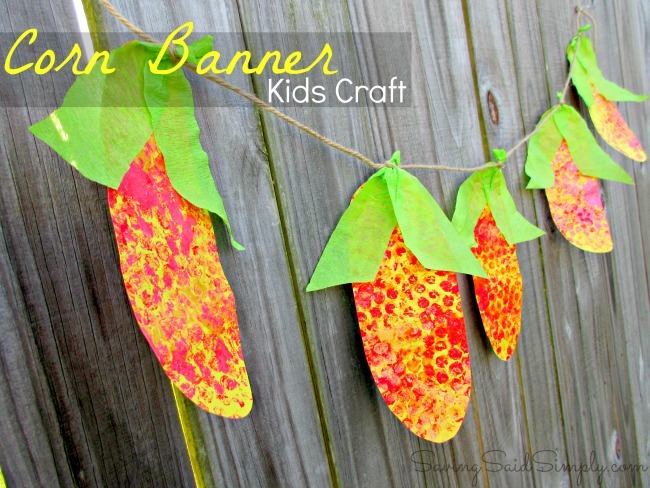 So we made this adorable DIY Corn Banner Fall Kids Craft to help celebrate fall, Thanksgiving and some of the amazing colors of the season. And besides, what kid can resist a chance to use some paint? So how did we make our frugal kids craft? Simple! 2. 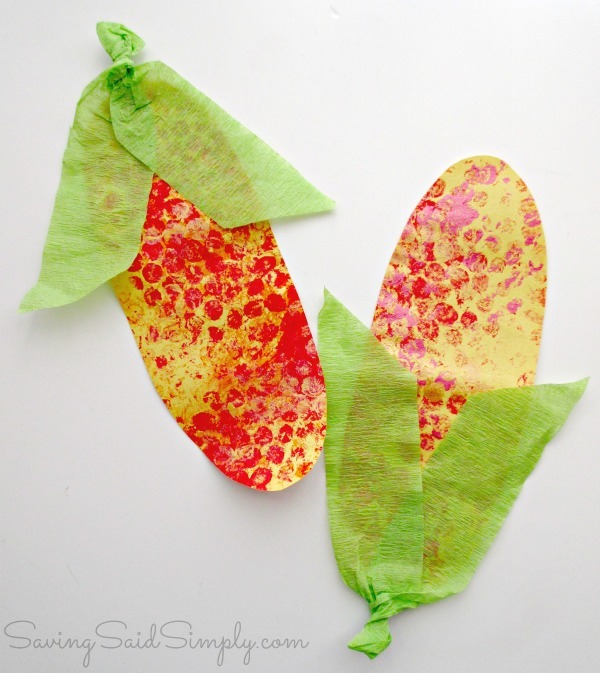 When dry, cut out Long corn shape pieces out of the construction paper. I did about 3 per sheet. 4. Tie string around the husk portion of the corn and slip a small knot into the twist. Leave some space and link to the next corn, etc. for each ear. 5. Hang up and proudly display your corn banner to celebrate everything fall! 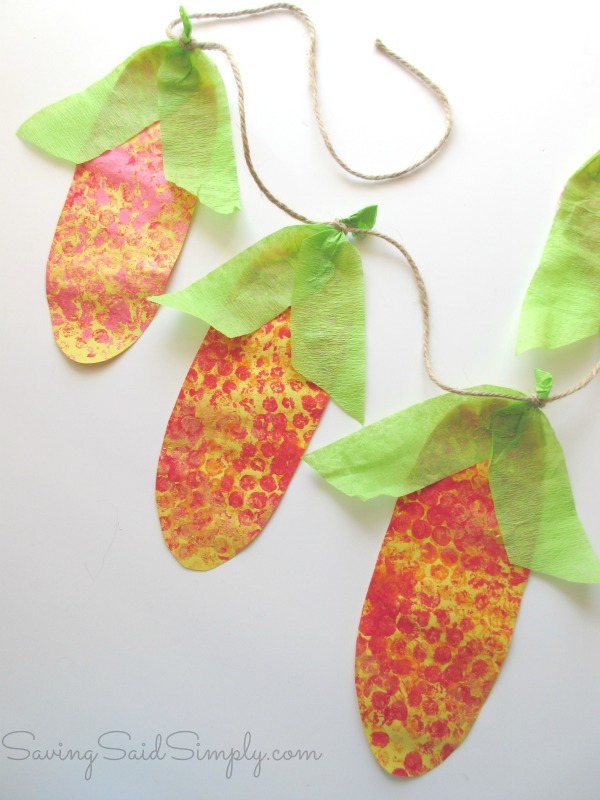 Make sure to pin this adorable Corn Banner Craft for your next fall crafting day with your kids! Perfect for decorating for Thanksgiving dinner. We cannot wait to bring ours to Grandma’s house this year for the Thanksgiving feast. What an adorable craft for Thanksgiving! I would have done this with my first graders when I was teaching school. 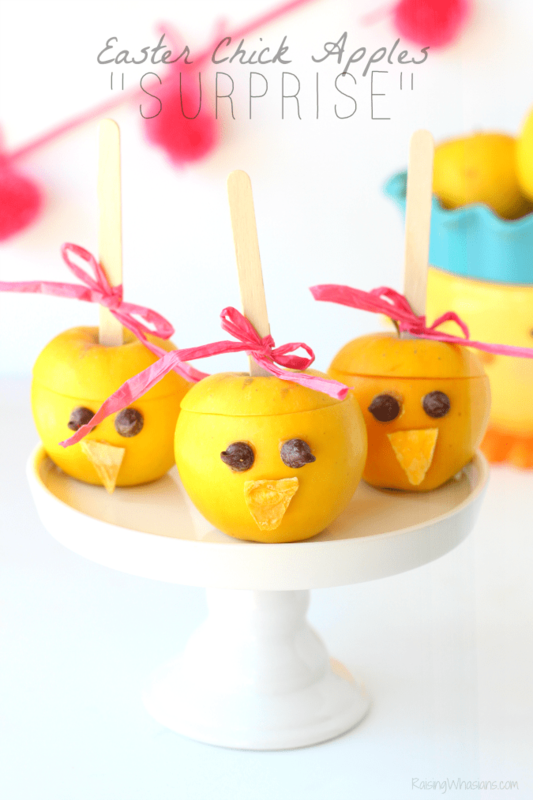 This is such a cute and easy craft to do with your kids. It looks so cute when its all done. what a cute and simple craft. My kids would love to make this! We have so much bubble wrap laying around. The kids would have fun making this. That is such a cute idea. I think it came out really great. This is so clever. I need all the alternative uses for my bubble wrap I can find! Thats cute. Fun craft and activity. This is a really cute idea – and perfect for most any age. I bet my 3-year-old would have fun with it. This is such a cute idea! 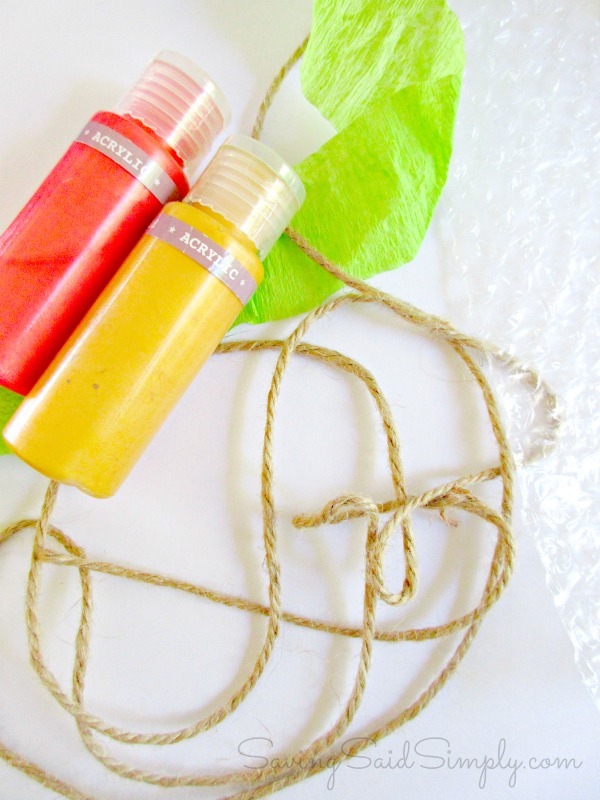 I have some bubble wrap in our craft box! 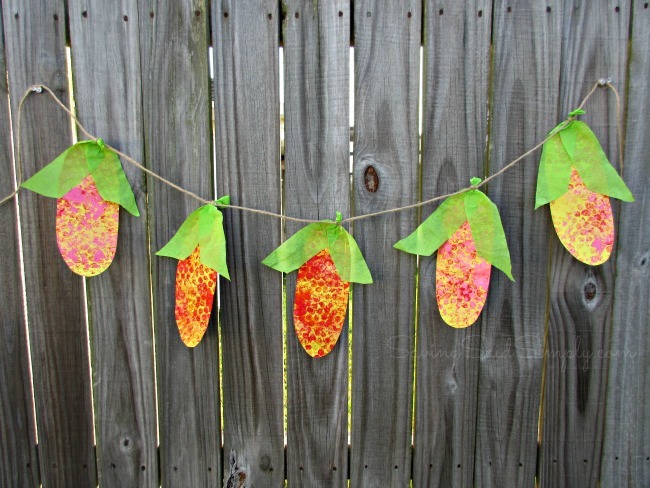 This DIY Corn Banner is seriously one of the cutest fall crafts I’ve seen. I would have never thought to use bubble wrap! This is really cute. You always have the sweetest projects for kids! That’s a fun idea. 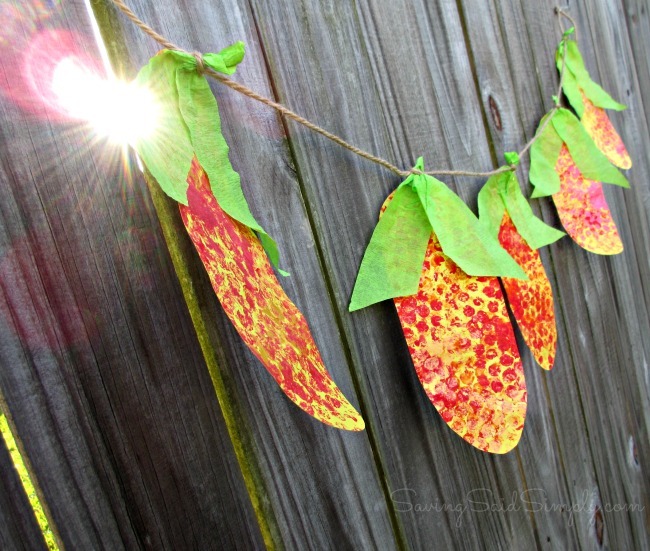 We like these kinds of crafts for Fall too! You had me at bubble wrap! 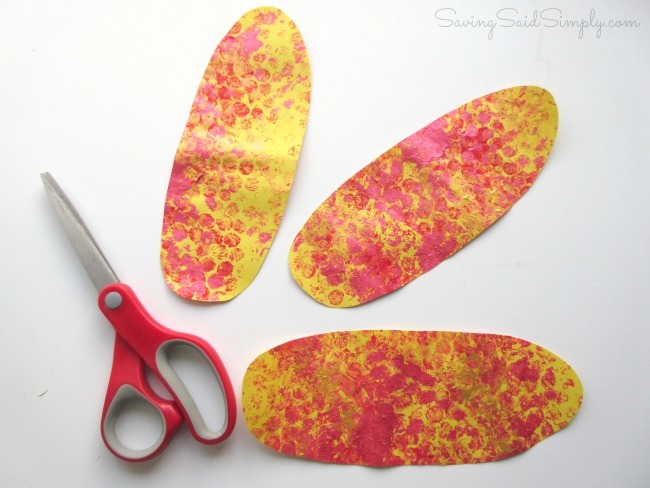 I love it – such a fun craft for the kids. Ha! These are adorable! I’m loving how easy they are to make with the bubble wrap! Thanks for the idea. How cute! The bubble wrap is the perfect stamp for the corn. Very cool! What a cute craft. 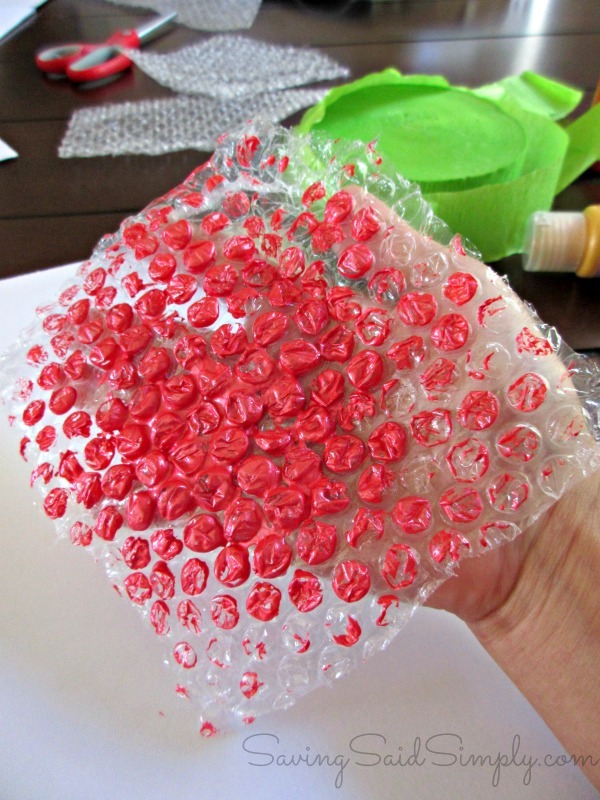 I would have never thought to use bubble wrap to make something like that…genius! How adorable! I know of some kids that would love to do this! It would also be nice to hang in the house during the holidays. I’ve pinned this. It’s a great idea to get texture with the bubble wrap. I need to go look for some and try this patterning. It would look great for tons of different projects. This is so cute! I will have to do this with my daughter this week, we love making homemade decorations and some of these would be adorable in the dining room for Thanksgiving!